Leah Frazier of DFW Style Daily has reported that a new fashion film is coming to Dallas and it's kind of a big deal. Actually, it's a huge deal because critics are saying that it's the best fashion movie ever! Dior and I chronicles the development of Raf Simons' first couture collection for Dior in 2012 when he became creative director after John Galliano's dismissal. It'll be pretty tough to compete with Valentino: The Last Emperor from 2008 with the behind the scenes look at the world of haute couture. I saw it in the theater 3 times and watched the DVD endlessly. 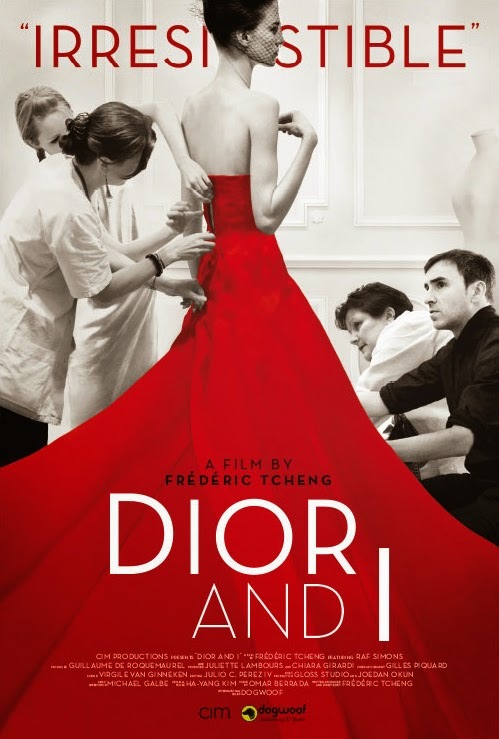 From the trailer, it looks like Dior and I will also give viewers a peek into the mysterious, beautiful, intense work that goes on behind closed doors at a famous couture house. I'm excited! The Dallas premier Dior and I is on April 23 (my birthday, I think it was meant to be!) for the USA Film Festival at the Angelika Film Center, Mockingbird Station. PS - The day after Dior and I is premiered, 93-year-old style icon Iris Apfel will be in Dallas for the premier of the documentary Iris.